We have long known student engagement is a vital component of effective instruction and student mastery of new learning. But how does this connect to the idea of active student participation? The truth is, until about seven years ago, student engagement and active student participation were one in the same to me. However, while providing consulting support for a statewide literacy grant several years ago, my thinking was challenged, as we were asked to measure student engagement and active student participation in the instructional walkthroughs we were conducting with school leadership teams. Turns out, there is a distinct difference between student engagement and active participation. This new learning was revolutionary for me. It has forever changed how I think about student engagement and as I’ve become more aware about embedding active participation techniques in my teaching, it has since made me a better teacher, consultant, observer, and learner. 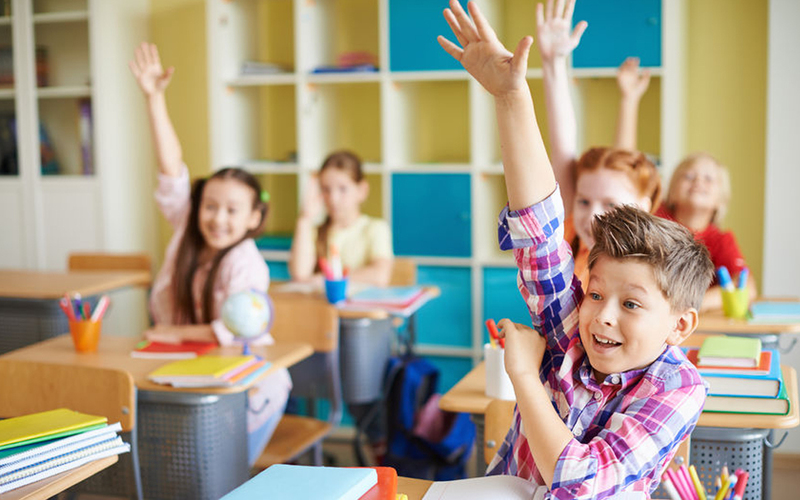 Engagement involves the number of students engaged in doing what the teacher is asking of them—essentially, the percentage of students on task—which may or may not constitute active participation. For example, when watching a teacher provide examples of how to change an improper fraction to a mixed number, if all students are watching and listening to the teacher, it would qualify at 100% engagement. This isn’t a bad thing. But we can take it a step further in terms of student learning if we think about active participation. According to Meyers and Jones (1993), active participation involves providing opportunities for students to meaningfully talk and listen, write, read, and reflect on the content, ideas, issues and concerns of an academic subject. Active participation doesn’t’ just require the student to be listening—it requires active learning from the student—which also means the learning must be clearly visible for the observer. In the example above—which remember, qualifies as 100% engagement—there isn’t any active learning required from the student. In other words, there is nothing required in that moment from students to show their learning, and therefore, there is 0% percent active participation occurring. Less than 25% active participation. When the teacher asks a question about the text, the teacher calls on two students who raised their hand. Technically, these two students are the only ones who are ACTIVELY participating in the lesson—the rest of the class is simply listening. Remember–the rest of the class may have been engaged, but they were not required to actively show their learning. Perhaps if the teacher had structured asking the question with a “think-pair-share”—requiring students to share their answers with a partner before calling on individuals to share out—active participation would have been much higher, as all students would have been required to be active in answering the question and discussing with a partner, rather than just the two students sharing out in the previous example. Within the next two weeks on the blog, we will delve into this idea of active participation, specifically exploring active participation techniques that can be used in the classroom. I hope you can join us! In the meantime, we’d love to hear from you in the comments! Had you ever thought about the difference between student engagement and active participation? How do you currently plan for active participation in your lessons?